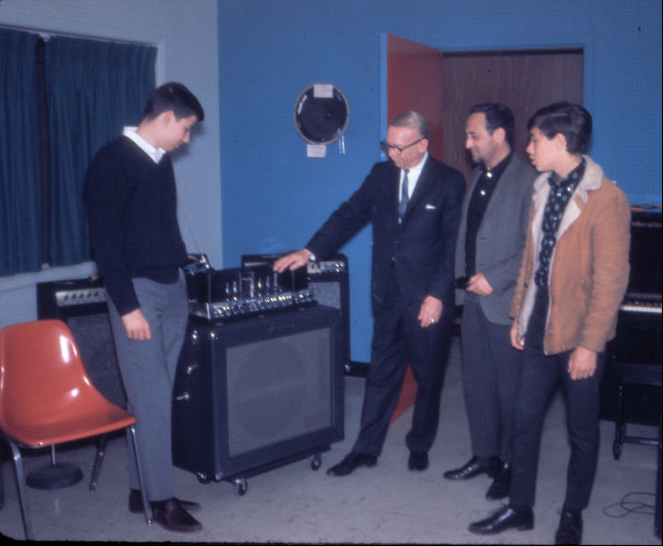 I was interested in getting one or two larger amplifiers for my upcoming first solo performance in March of 1967. Arnold Fishkind, a great jazz bass player and a close friend of my father’s, knew Everett Hull. 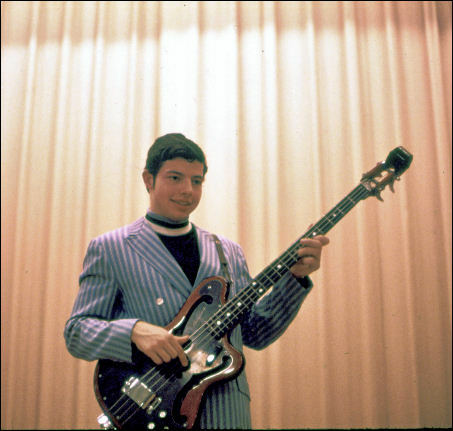 Hull was a bass player who founded the Ampeg company. In February, my father and I followed Arnie to the Ampeg factory in Linden, New Jersey, where I performed for Hull and a few associates. We were hoping to buy equipment at the artist discount Ampeg offered to professional musicians (such as Arnie). Instead, Everett Hull consigned to me the following equipment: a Gemini II amp (later exchanged for a B-18X), a B-12XT amp, an AEB-1 horizontal electric bass, and a Baby Bass. We drove home in shock. In my visits to the factory I met several people including Walt Shaver and Warren Grady. Jess Oliver had already left the company but I visited him several times in the early 70s when he was living nearby in Westbury, New York. In 1973 I purchased his OP-2 Power Projector (which I still have). Everett Hull was a remarkably generous man who encouraged me to pursue a career in music. He came to several of my performances and once (with his wife Gertrude) came to our home for dinner, where he and I played for our supper. 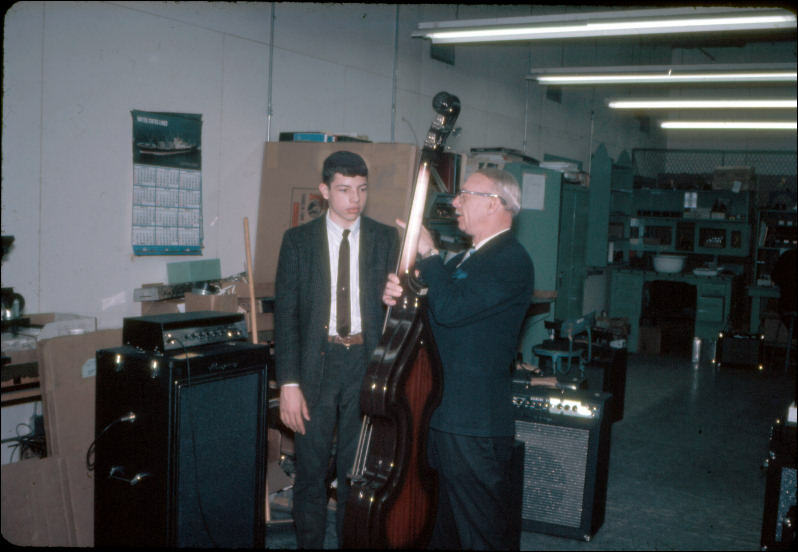 February 1967 at the Ampeg factory – getting a private lesson on the Baby Bass from Everett Hull. 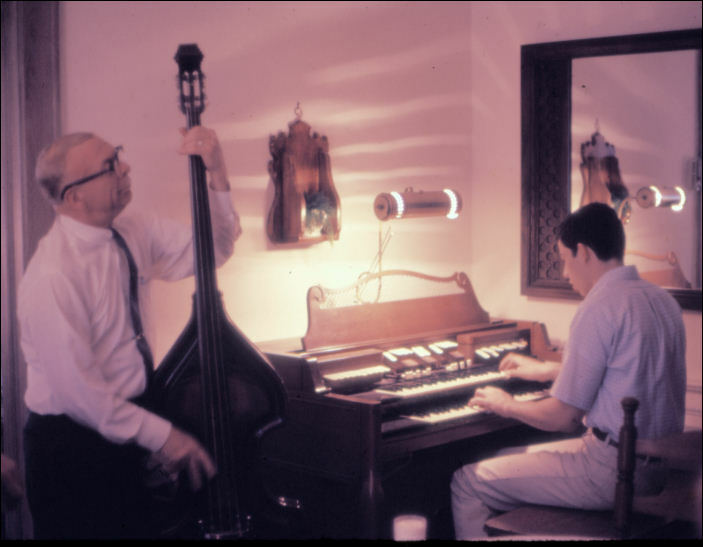 May 1968 – jamming at home with Everett Hull. Note: the Ampeg AEB-1 bass can be heard on recordings on this page.